Having been acquainted to Ubuntu and Debian , I was inclined to a Wheezy Debian distro compiled for MK802 and published here . This is the distro that I'll be using for this setup. Extract the zip file , you should have an IMG file which contains an image of the pre-installed debian distro. Download Win 32 Disk Imager to restore (install the image) the IMG file on the microSD from a windows machine. All you need is to browse to the image file and select the drive. If you're working on a mac machine you can use SuperDuper! , and if you're working from a linux machine , you can use partimage. Install the microSD in your device and connect it to your machine. 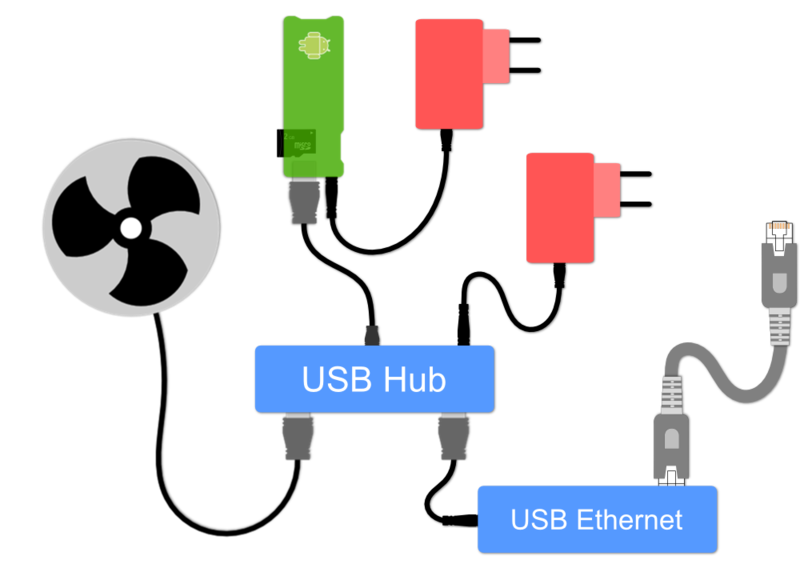 By following the steps above, you should be able to view the Debian desktop once you connect it to your HDMI screen ( or VGA using an adapter ,see the earlier post ). Although the system is ready for running now, I found earlier that my MK802+ gets very hot after one hour of operation. Knowing how hot it is in Egypt , I had to consider a cooling mechanism . I put together a USB fan (see here) for use with this system . Because MK802+ has only one USB host port and i would like to later connect multiple devices to it, I bought a powered USB hub. The reason I suggest that you buy a powered hub , is that you don't want to rely on the power coming from the MK802 device itself and also to be able to later connect peripherals (flash disks , external hard disks , USB Ethernet cards or printers).. A powered hub usually comes with an external adapter that provides power, I've seen a lot of people who couldn't move their mouses because they used bus-powered hubs with their devices. In order to put the server on the internet , we have to connect it to the internet. 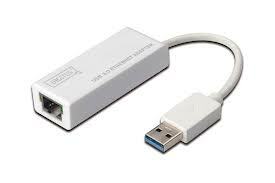 I chose to connect the device to Ethernet using a USB to Ethernet adapter (like the one in the pic). The next logical step, once the device gets an IP, is to add the mac address tp the IP Address reservation table of my router . 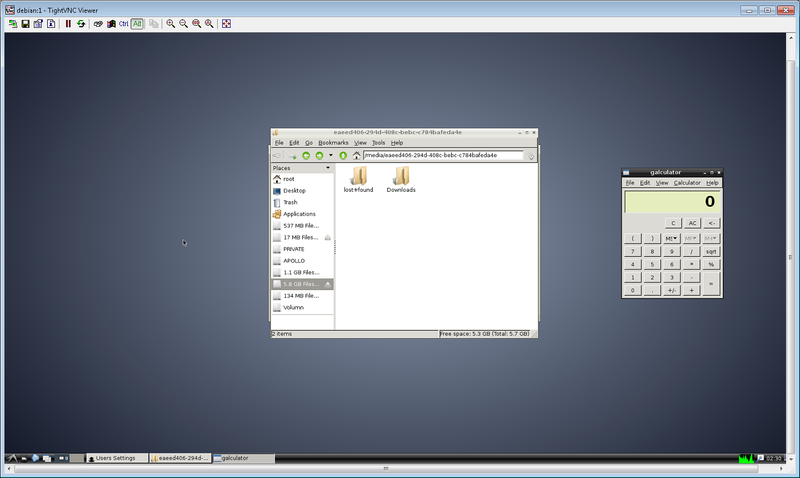 This will give the same ip address each time the device is started, and will allow me to add rules for port forwarding , etc..
At last , once you're done with the setup , you can use TightVNC to connect to the device and disconnect the physical screen once and for all.. I don't mind sharing a snapshot of my MK802+ server here. The default user and password are both set to : debian.